Life is too short not to be stylish! Be specsy. Great eyewear sparks compliments that start conversations that will connect you to your clients and your community. What you see is what you get. Show others the real you. Be direct. Take ownership. Be the client you want to attract. Create your day. Be your own creative force. Be spectacular! In 1997, after a 10 year Optician career, Wendy Buchanan retired from the traditional brick and mortar Optical shop to embark on creating a new optical service and a new life. 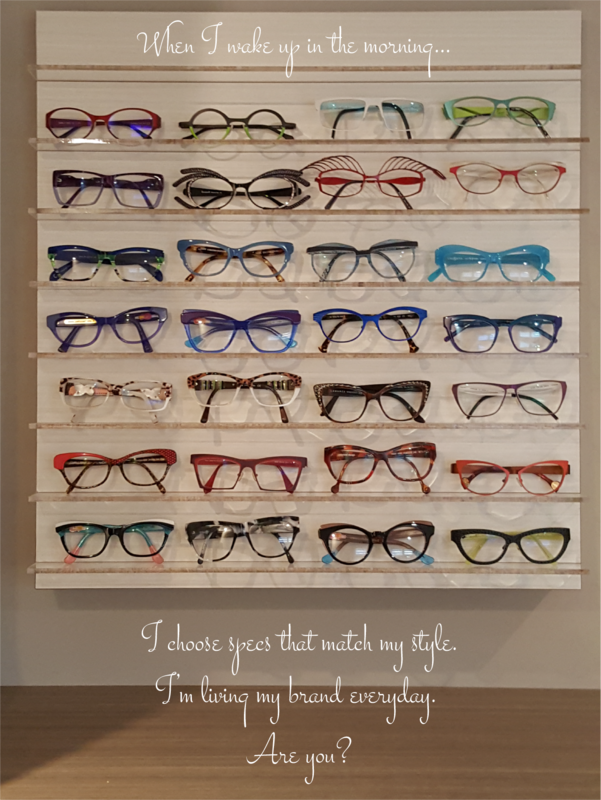 Training as an Image Consultant, Wendy combined her passion for people and love of the image world with her experienced and solid Optical training to launch Perceptions Eyewear; a one-of-a-kind mobile eyewear boutique™. 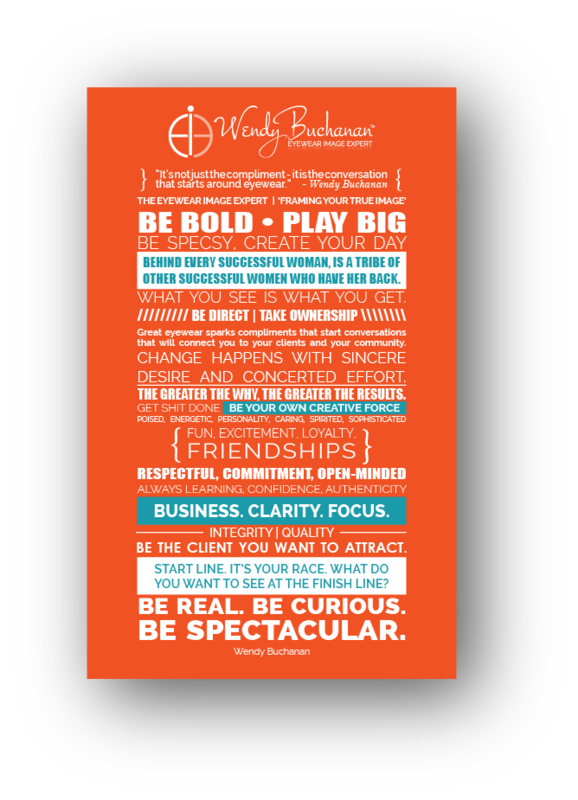 As Perceptions Eyewear celebrates 20 years of serving the be-spectacled clients in both Toronto and Ottawa, Wendy creates new again and working globally brings forth her energy and passion to evolve and share her Be Spectacular™ training program with her elite colleagues. The Be Spectacular program is designed for Opticians and Image Consultants to help them grow their businesses with elite eyewear consultations dedicated to enhancing their clients’ appearance with a wardrobe of eyewear. Wear your Frame Style and Own Your Look! Wendy Buchanan, Eyewear Image Expert, Perceptions Eyewear Inc. Your invited! Women's Spring Expo at Verity! Joining my colleagues to bring you an evening of luxury accessories, services and mindfulness. Tanya Shapenko Kristi Stangeland Heather Kerr and Leila Lavaee. Wendy Buchanan, Eyewear Image Expert, Perceptions Eyewear Inc. was live. 3 out of 4 people need eyewear to see and YOU could be the Image Professional to help style them with eyewear to complement their clothing style, facial features and personality.